The ski industry is getting it right when it comes to customer loyalty. Why is that? It's because they understand that each customer deserves their own customer loyalty program. Ski operators attract a wide variety of customers to their slopes. Some guests will ski every single day, some will come for a weeklong holiday, and others will drive in from a larger city for 4 or 5 single ski days. In light of this, ski operators sell wide variety of loyalty packages that cater to all kinds of customers. 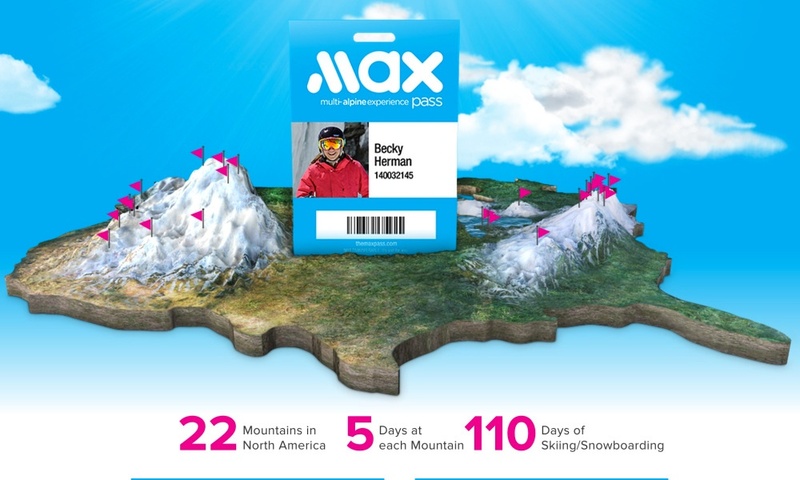 For the year-long skier, they offer a seasons pass that comes with perks such as discounts in the restaurant, ski shop, and hotel. They'll even offer preferred parking and reward these long-term customers with goodie bags, branded clothing, free lessons and more. Some slopes offer the option to pay an extra fee for to access ski hills worldwide. For only $349 extra, seasons pass holders can get 5 days at 22 reciprocal resorts nation-wide. When a ski-hill joins this kind of reciprocal network, they attract an entire audience of customers who otherwise would not have been interested. Now the ski operator can expect a boost in hotel reservations, rental sales in the ski-shop, and patrons in the restaurant. Less avid skiers who visit for a week-long holiday might be less inclined to buy a multi hill pass. Instead, these guests look for discounts on gear rental or a discount on hotel fees. Ski operators understand that rental discounts work especially well for this segment since these guests are often visiting to get the "ski experience" and may not own gear themselves. 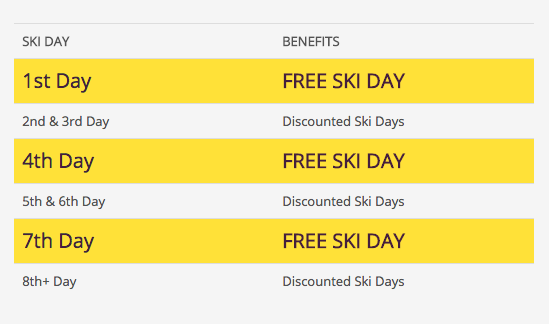 For the budget skier, ski operators target them with cheap passes that allow free ski days on the 1st, 3rd, and 7th usages, discounts apply for any other usage. Passes like these are great for skiers who live close by and plan on hitting the slopes a few times during the season. The ski industry is so successful with attracting and retaining customers because it understands that customer loyalty must be developed in different ways for each type of customer. Unfortunately, golf industry operators usually offer a one size fits all solution that does not accommodate the needs of the wide variety of guests who may be interested in playing. It's not too late for golf course management to improve customer loyalty, all it takes is the implementation of rewards programs that take every customer into consideration. We're really big fans of the multi-course reciprocal membership model. There's a reason why ski destinations are doing it, it's very profitable, it builds loyalty between affiliated ski-hills, and it brings in new customers who otherwise wouldn't have visited. There's no reason why golf courses shouldn't take a look at this model. Play Golf Kelowna and Pacific Links International are good examples of reciprocal systems that are generating revenue, bringing in new customers, and boosting customer loyalty. 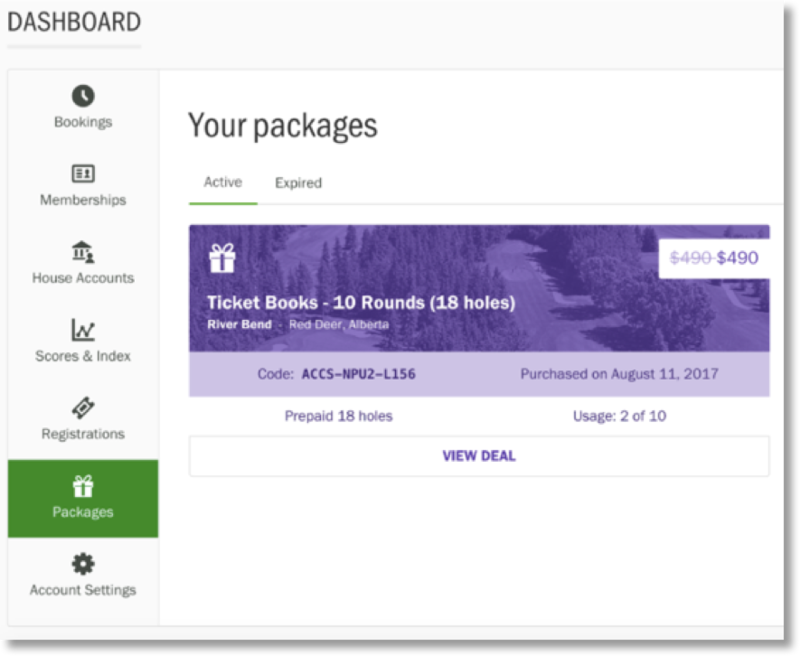 Managing this kind of reciprocal membership may seem complicated, but with modern cloud technology developed by Chronogolf it's easier than ever to manage and sell memberships and game packages online between affiliated courses. Like many ski-hills, many golf courses offer stay-and-play packages for vacationers on a golf getaway. Even though ski-hills are more likely to attract guests who are not experienced skiers, golf courses should still take note of what the ski industry is doing to attract avid skiers. The multi-facility reciprocal membership comes into play here again. Much like the ski industry, avid golfers with higher incomes are much more likely to travel to a new course as part of a golf getaway. Golf courses can attract more stay-and-play customers if they join a network of reciprocal courses that offer access to golf courses worldwide, much like what we are seeing in the ski-industry. Tracking stay and play package reservations doesn't have to be complicated. With modern cloud based technology you can sell, manage, and track reservations. 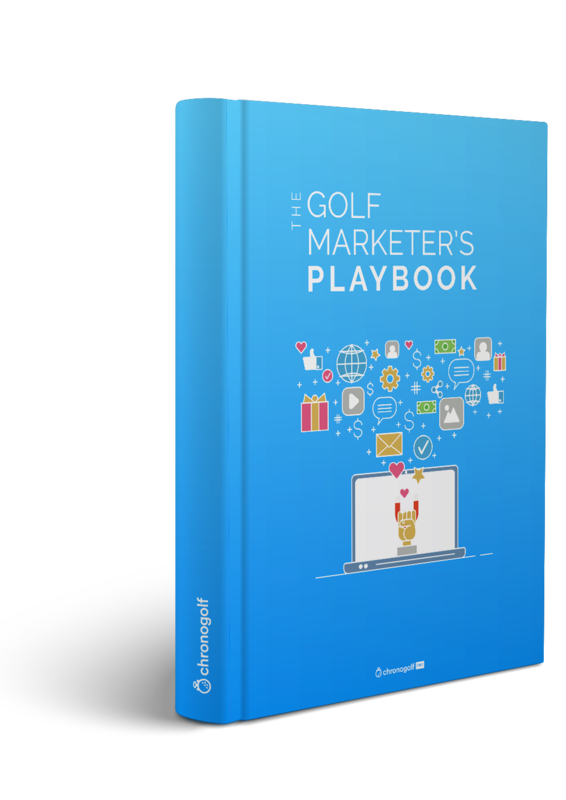 Plus, your website can be turned into a tool for promoting stay-and-play packages online. It's a common misconception that millennials are completely disinterested in golf. One of the big barriers to playing the game for them is the high price and time commitment. To counter this, golf courses need to offer a wider variety of packages. 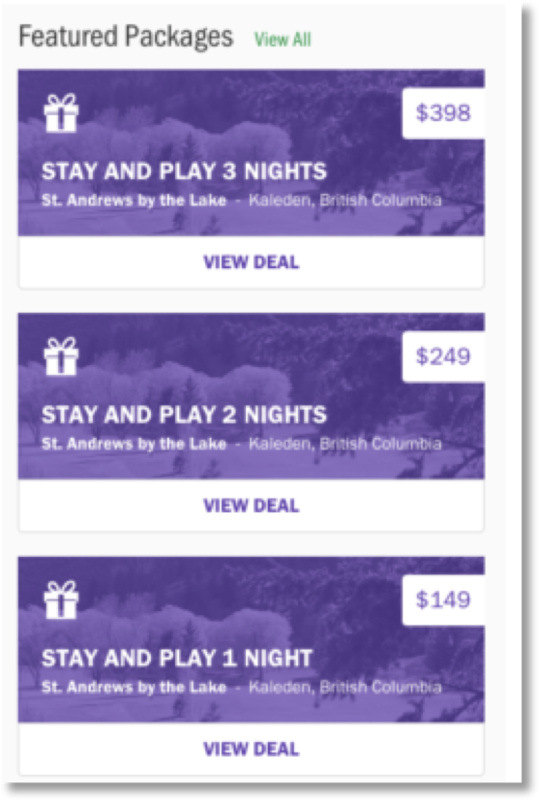 Consider selling a three day pass that is similar to the Resorts of the Canadian Rockies Pass, for a very discounted price golfers get three free rounds but they are spaced out with discounts available between each usage. For example, The Rise Golf Course has done an excellent job of introducing a loyalty card that offers customers a free round and ongoing discounts for the price of one green fee. Best of all the card lets users share their rate with other players in a group, meaning that when a player brings a group in they all receive the loyalty discount. Not only does this encourage loyalty from one customer, owners of this loyalty care are now encouraged to bring their friends in! Round packages shouldn't solely apply to 18 hole rounds, budget golfers likely are much less interested in spending 4 hours on a golf course, so let them decide how long they want to play. Don't forget that these golfers are also much less likely to be avid players, these customers can be enticed to purchase packages by offering weekend passes or coinciding rental and lesson discounts. Modern technology makes it easy to track rounds played by the hole, instead of forcing golfers to play full 9 or 18 hole rounds. Plus, this kind of software makes is it simple to manage and promote rental and lesson package sales. Not sure how to update your customer loyalty strategy? Learn all the tips and tricks to modernize today! You already offer a premium experience, your course is perfectly manicured, and your restaurant has the best food and beverages in the area. What else could possibly keep customers coming back? It's not just the experience, it's about how your customers feel when they leave your facility. 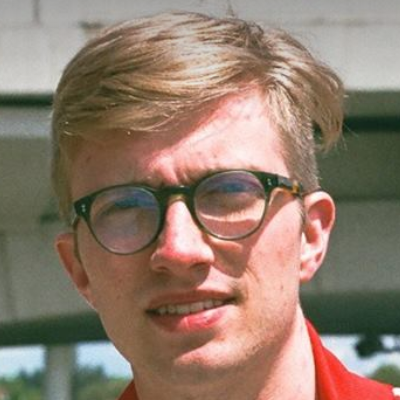 Do they feel like you've started a relationship with them? Do they feel valued? Aside from providing an excellent experience, golf courses must find ways to engage customers and encourage repeat visits. Rethinking your loyalty program can do that. Not sure how your course can track "smart" packages or manage reciprocal packages? 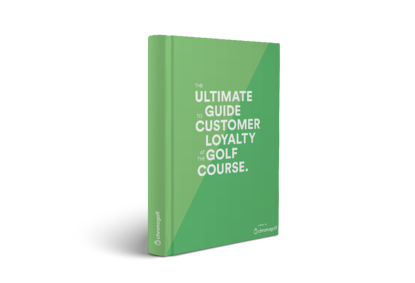 Chronogolf has developed state of the art golf management software that is capable of applying any customer loyalty strategy. Learn more about what we offer here!